Canada has immigrant friendly programmes. This is one of the key reasons that many foreigners are today more comfortable immigrating to this immigrant-friendly country. Even the Canadian authorities are making sure that they increase the immigration quota every year. This will allow more number of people to come to Canada. 2018 is no different. This year too they have increased the quota. 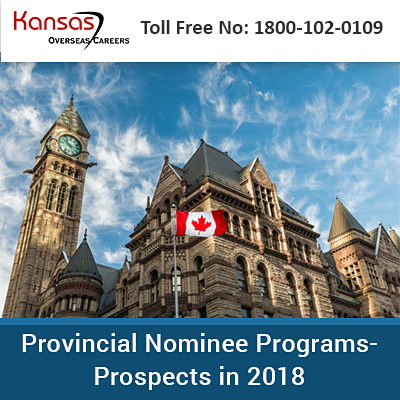 It should be noted that the Canada provincial nominee program is one category where there is lots of scope of applying and moving to Canada. All the provinces and territories of Canada except Quebec have their own provincial nominee programmes. Depending on the specific needs of a particular province a PNP program is designed. It should be noted that if you have a provincial nomination, then your chances of getting the permanent residency in Canada are improved. It has already announced by the authorities of Alberta and Manitoba provinces that several positive changes will be made to their PNP programmes in this new year. If you are a skilled worker and you are applying under the Canada Express Entry programme, then PNP can be a major boon. You will get a boost of 600 points if you get a nomination from a province. This almost guarantees that you will get an invitation to apply for the PR visa of Canada. Your chances of getting selected to apply for permanent residency of Canada improve a great deal if you get this sponsorship. You get the chance to select the province where you would like to settle down. You do not have to go through the pool selection procedures and there is no condition of having a job offer letter etc. With different provinces trying to make the laws more immigrant-friendly it gives an advantage to the applicant. It improves the applicant’s chances of getting nominated. It should be noted that these are not the only programmes. There are many other nomination programmes. Here is how you can apply! You can apply to a province directly. You simply need to select the province of your choice. Selected candidates will get a nomination letter. Based on this one can apply for the PR visa. If you are applying under the Express entry system and you get a provincial nomination, then you get a major boost to your rankings. In case you have doubts and questions then to be on the safe side you must consult good Canada Visa consultants. Those consultants who have a good experience will be able to explain all the details about the PNP programmes. This will help you be better equipped with the challenges that you may face while applying for the PNP programmes. How to apply for Canada Permanent Residency without errors? What are the top programs under PNP to migrate to Canada in 2019? Can we expect low CRS score for Canada PR in 2019?